Tools you can use to get started and get results. A strategy, plan, and checklist to follow. A video you can use to show others. Use this to set-up yours in minutes. 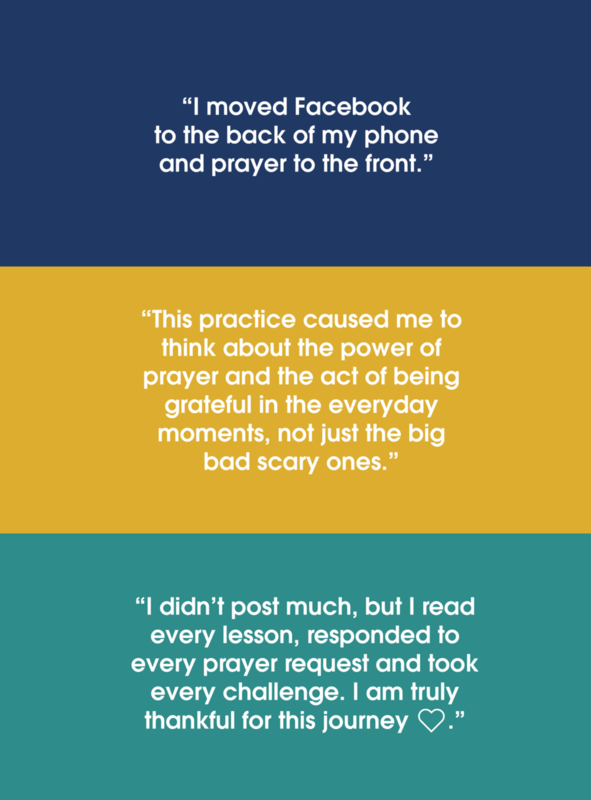 The Ready-Made Prayer Groopit includes six post templates for prayer. Your group will be private, customizable and advertising free. Group organizers will have control over membership, posting, and be able to send email to all members. Your group uses Groopit’s free version and does not rely on pay-for features like the ability to send text messages to group members. Set-up it up now. 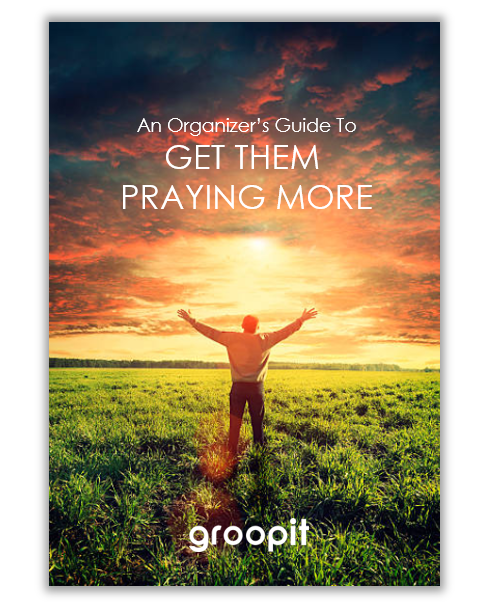 A 30-minute webinar for organizers to learn how to start a prayer group and strategies to get your entire church praying more. A video you can use to enlist the people who already pray faithfully and explain their important role. 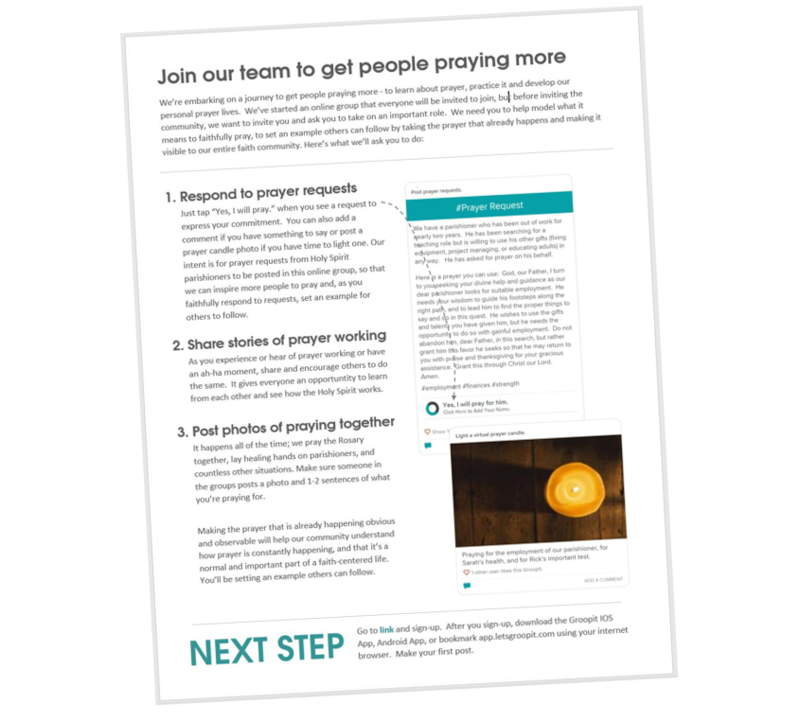 A customizable handout you can use to enlist the people who already pray faithfully. A customizable handout you can use to enlist every member of your church. A ten-minute video for organizers to learn how to operate the Groopit system. Tips churches can use to build momentum.